The article includes first person accounts of Weinstein's alleged conduct, including from Judd, who recounts an incident from two decades ago in which she said she was asked to meet Weinstein in his hotel room. Weinstein greeted her wearing a bathrobe and asked her if she would give him a massage or watch him shower, the paper reported. "Women have been talking about Harvey amongst ourselves for a long time, and it's simply beyond time to have the conversation publicly," Judd told the Times. Two company officials tell the Times that at least eight women have received settlements from Weinstein over the years, including actress Rose McGowan, who allegedly had an incident with him in 1997 when she was 23. Weinstein's attorney Charles J. Harder said in a statement that the story is "saturated with false and defamatory statements about Harvey Weinstein." "We sent the Times the facts and evidence, but they ignored it and rushed to publish," Harder said. He did not respond to questions about what specific allegations Weinstein was contesting. Requests for comment from The Weinstein Co. and Judd were not immediately returned. 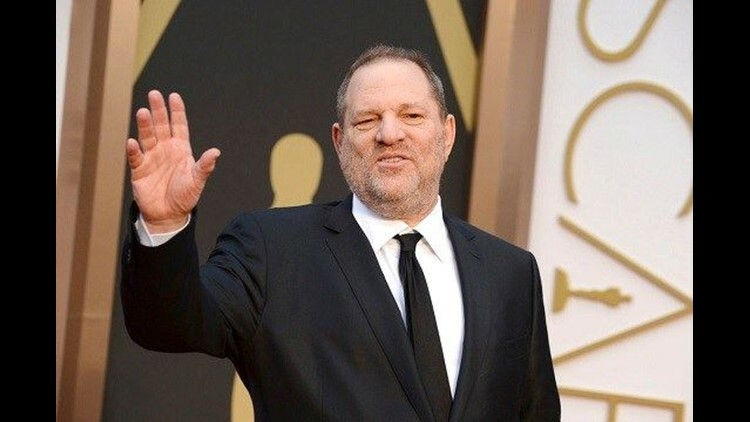 Weinstein had a powerful perch in Hollywood for three decades, and was known for producing films like "Pulp Fiction" and "Shakespeare in Love," for which he won an Oscar, and launching careers of actresses and directors with his company Miramax, which he ran with his brother Bob Weinstein. In 2005, they launched a new production company, The Weinstein Company. His often aggressive tactics were chronicled in the Peter Biskind book "Down and Dirty Pictures." "I appreciate the way I've behaved with colleagues in the past has caused a lot of pain, and I sincerely apologize for it," Weinstein said in a statement. "Though I'm trying to do better, I know I have a long way to go." His statement did not address any specific incidents. Weinstein has been married to designer Georgina Chapman since 2007, they have two children together. He has three children from his previous marriage.